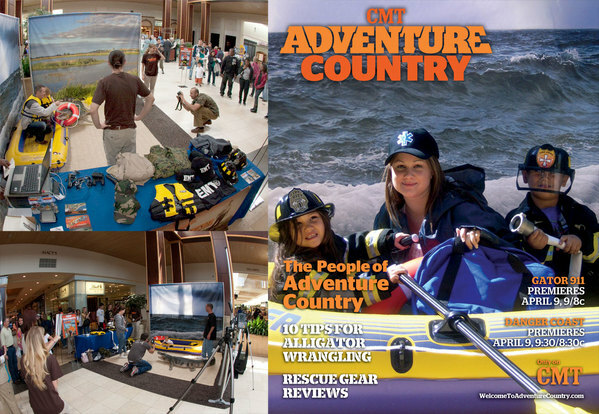 Welcome to Adventure Country was a multi-channel marketing campaign designed to introduce a new block of adventure-based reality programming on CMT. Combining adrenaline action with human interest, both the programming and the campaign were designed to appeal equally to men, women and kids; a perfect appointment for family viewing. Beginning in three cities that indexed high for CMT – Charlotte, Sacramento and St. Louis – fragments of Adventure Country started to bleed into real life. Found objects in printed form (such as the above postcards, and these business cards) seeded the story in a visceral, fun way, to be discovered and shared on the streets and online. 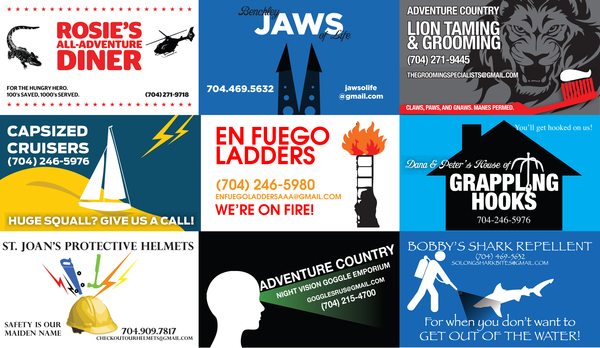 Targeted Facebook ads, partnerships with local bloggers, Craigslist postings and participation from local radio DJs all pointed to a special Adventure Country telephone hotline, which gave details of an upcoming “casting call” in local malls. At these events, thousands of families waited in line to dress up in authentic adventure gear for an official photo, shared via Flickr and Facebook. 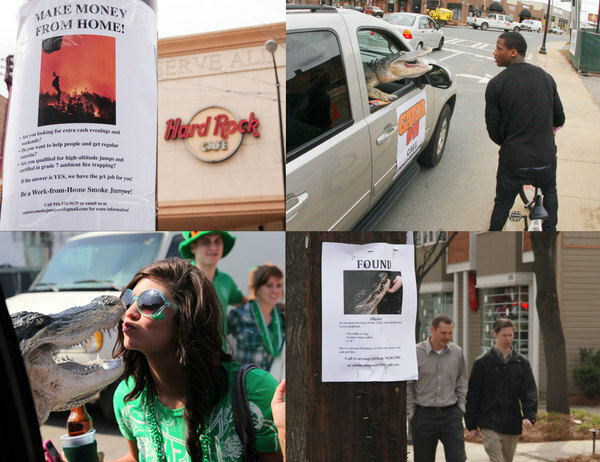 Combined with local blogger tweetups and FourSquare checkins, it provided a rich background of online archeology to be discovered and explored by a national audience as the campaign expanded nationally. 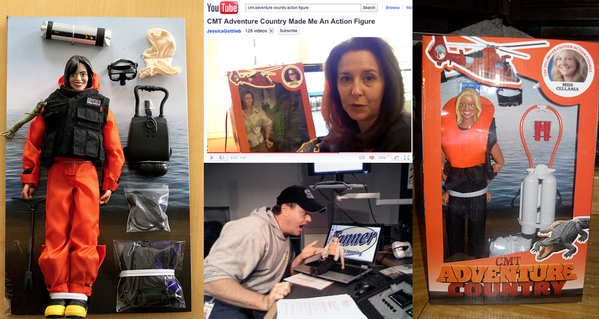 The morning after the events, high profile bloggers and YouTube celebrities received very unusual packages – custom action figures created in their likeness, a limited edition run of Adventure Country heroes, with accessories for both marine and gator rescues. 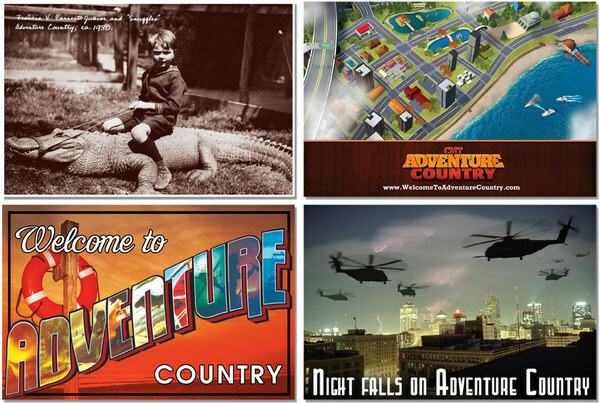 The website (now offline but archived here) featured an immersive and highly interactive map of Adventure Country, allowing visitors to explore all the objects created and distributed in local cities, and see all photos from the local experiences. The experience also contained two exclusive “mockumentaries” featuring some of the other ordinary residents of Adventure country as they went about their business. One was a groundbreaking Facebook Connect video (see the archived site to activate) that allowed visitors to put themselves at the center of Adventure Country. The second, seen at right, humorously explored where the residents’ focus on adventure was due to something in the water. As potential viewers became interested in the shows and wanted to follow along, all paths led to two Facebook Fan Pages, which propagated an aggressive schedule of custom content, video interviews, behind the scenes clips – even recipes for viewing parties, as thousands set the date on their Facebook calendar for tune in. 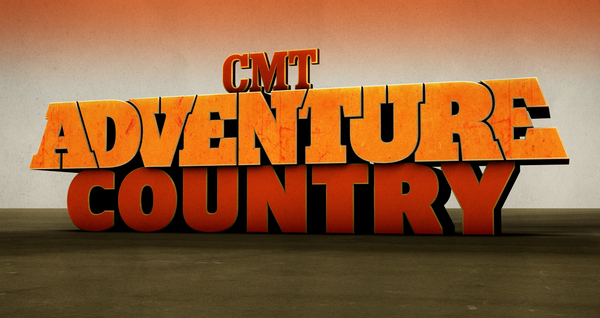 Although CMT Adventure Country is now offline, a partially functional archived version can be explored here.